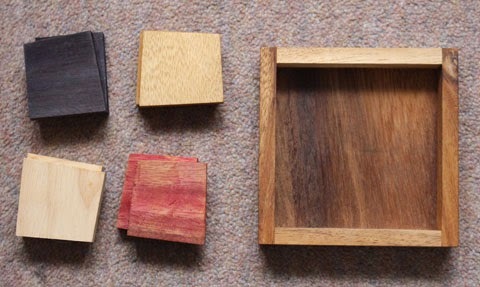 Here are some rather nice wooden puzzles found by Noel-Ann on recent trips. I'm not commenting on solutions here! 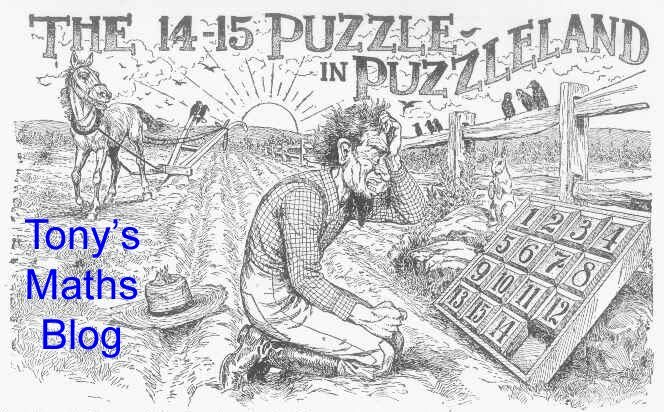 The other puzzles were brought back from a market in the Dordogne. 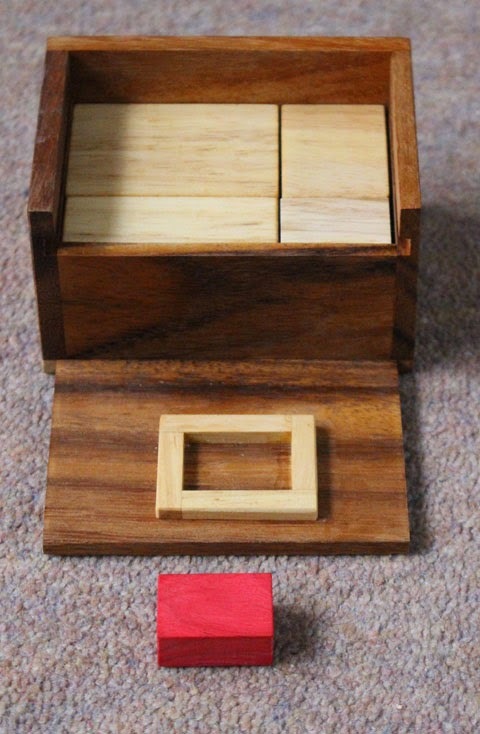 This, amazingly, is a secret box which can be opened by performing a series of operations. 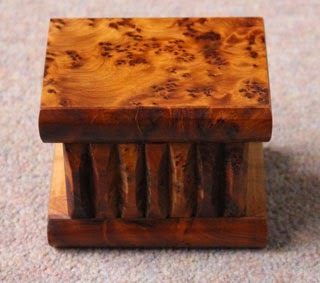 This one starts off as a rather nice box with a red slab on top. 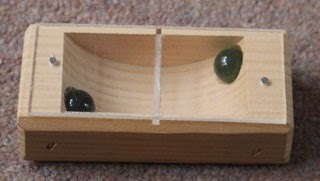 When one slides the lid open one finds that it is packed full with more wooden blocks. 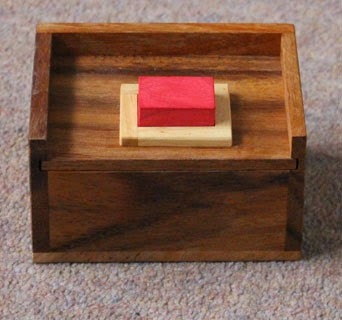 How can one add the red block and close the lid? 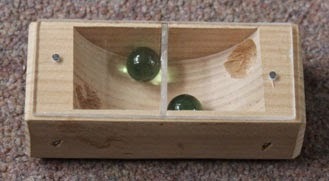 This one has four pieces each composed of two overlapping slabs. Can one fit them into the tray?